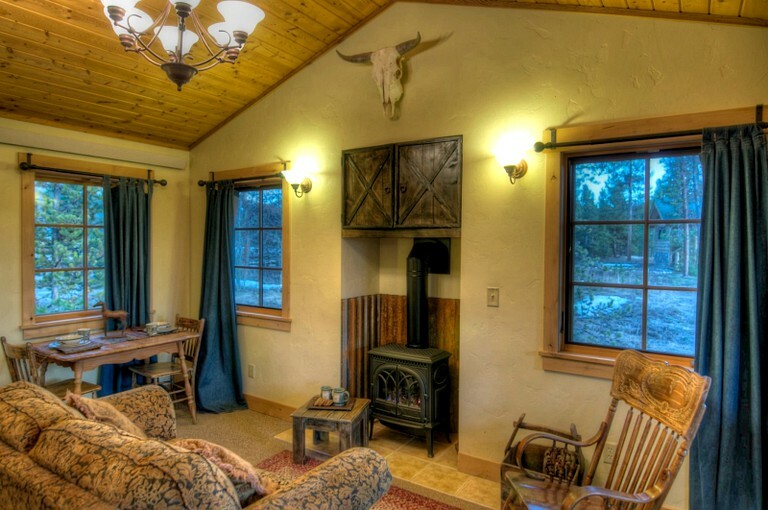 With style and comfort at its forefront, this romantic getaway cabin is set on a lovely retreat in Fraser, Colorado, and comes set with complimentary breakfast. 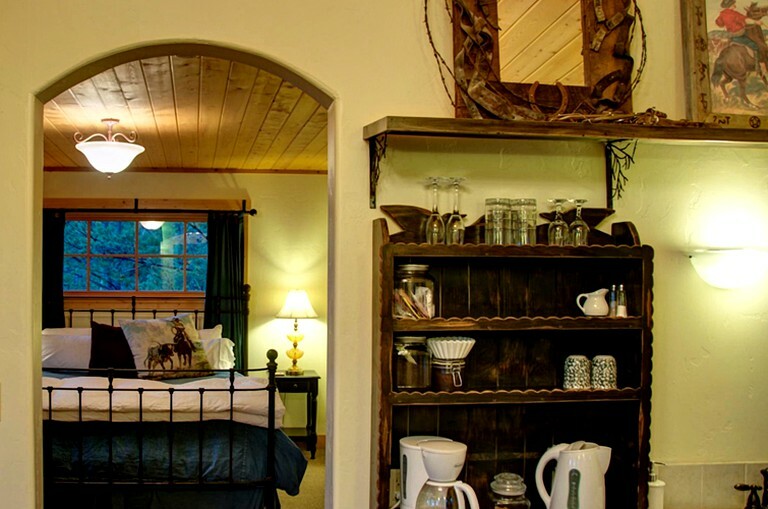 Sleeping up to two guests, it boasts a lovely king-size bed atop a wrought-iron bed frame and fitted with feather pillows and a denim down comforter. 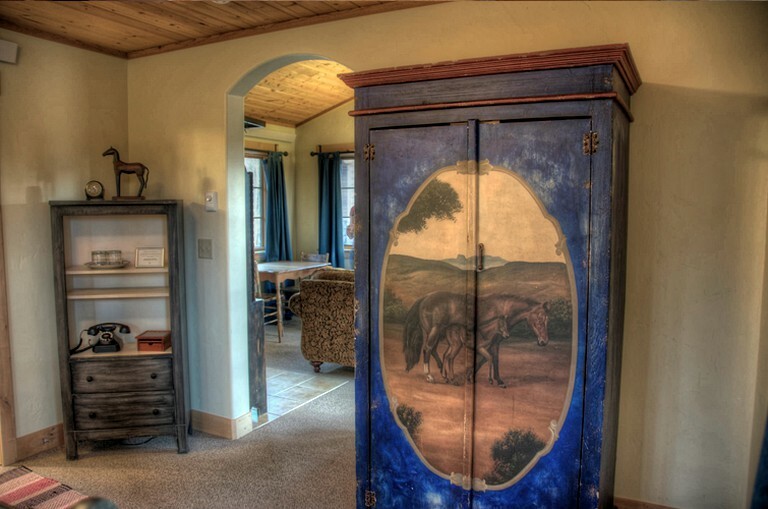 With touches of western flair throughout, the bedroom is also set with a western folk-art armoire. 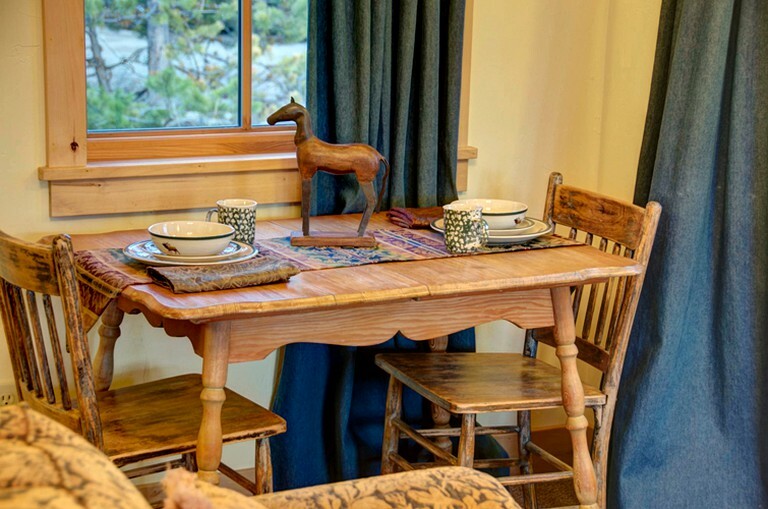 The bathroom provides a jetted tub for two, rustic tile work and an unfitted sink base.